Neil Irwin has a piece at the New York Times where he calculates something he calls the Marx Ratio for all the publicly traded companies. The Marx ratio divides each company’s profit per worker by their median worker pay. So, for instance, a company where the profit per worker is $50,000 and the median worker pay is $25,000 would have a Marx ratio of 2. This ratio is not ideal for what Irwin has in mind. What you really want is something like what percent of each company’s value-added is going to shareholders (capital) and what percent is going to workers (labor). That is, you want mean pay not median pay. Even that might not be enough though because it appears that top managers are scraping income out of companies that is classified as labor compensation but is really just capital income in disguise. So perhaps an even more ideal measure would be what percent of each company’s value-added is going to its shareholders and top management (capital) and what percent is going to its non-top-management workers (labor). But the new SEC rule does not provide that kind of information, so Irwin is doing the best with what he has. Perusing through the list reminded me of a critique of coop socialism that I have long found persuasive. 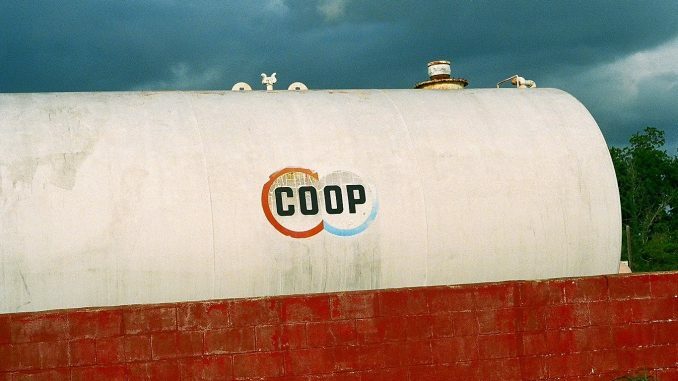 Coop socialism is a flavor of market socialism (perhaps most famously advocated in the US by Richard D. Wolff) where collective ownership is exercised on the firm level. That is, under coop socialism, each firm is worker-owned. The upshot of this is that workers in each firm (rather than shareholders) get to receive the profits of the firm they work for and get control of its management. One critique of this approach to socialism is that it ends up generating unfair inequalities because some firms are capital intensive while other firms are not capital intensive. A worker who happens to be in a firm that relies on a ton of capital inputs ends up getting way more income than a similar worker who happens to be in a firm that does not rely on a ton of capital inputs. That is, each worker’s total income is driven in significant part by how much of the capital stock their line of work happens to rely upon. For instance, the companies with the largest Marx ratios are virtually all real estate investment trusts (REITs). This makes sense of course because a huge part of their income is a function of their real estate inputs rather than their labor inputs. Duke Realty has a median worker pay of $109,695 but a profit per worker of $4,135,853. Under co-op socialism, the median Duke Realty worker would receive $4.1 million dollars of capital income each year, in addition to their salary. If you look at less capital intensive industries (which is to say all of them since REITs are so extremely capital intensive), the profit per worker is naturally much lower. At Walmart, for instance, median worker pay is $19,177 and profit per worker is $4,288. The median worker of a cooperative Walmart would thus collect just $4,288 from their ownership stake each year. The Duke Realty worker collects 1,000x as much. There may be ways to try to smooth out these differences to some degree. Perhaps you can try to structure firms in a way that ensures they have similar levels of capital within them. But it is hard to imagine any situation where you don’t wind up with really unacceptable levels of inequality just given the fact that, say, a manufacturing firm will generally use much more capital than a firm that provides personal services. The way out of this conundrum is, of course, the social wealth fund. By having society as a whole own the firms (or as much of the equity of the firms as practically possible), you can ensure that capital intensity differences do not matter and that everyone shares equally in the profits of companies regardless of how much capital the firm they happen to work in relies upon.